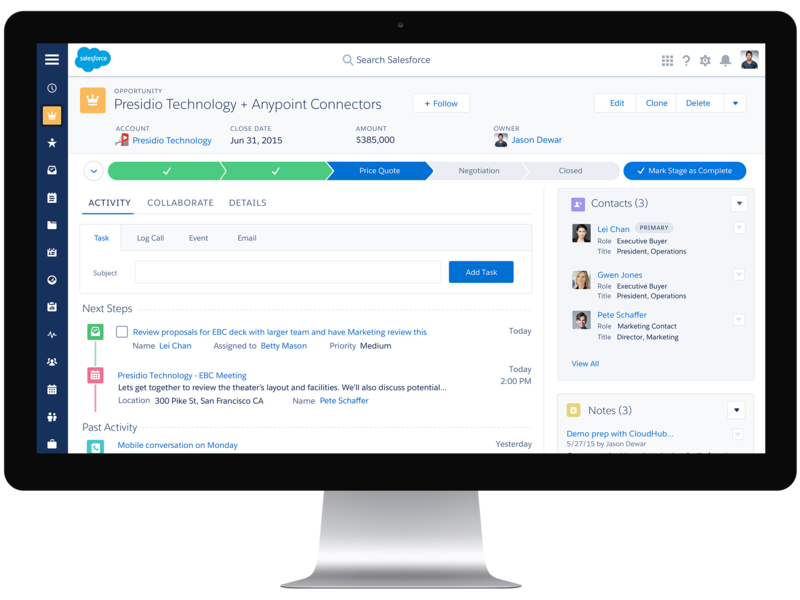 Salesforce is the world's leading and most popular web-based CRM solution. This very well integrated solution gives you access to comprehensive, up-to-date data and offers the best standards of security. Sales Cloud allows you to efficiently manage your entire sales cycle, with many added benefits such as collaboration between sales teams. 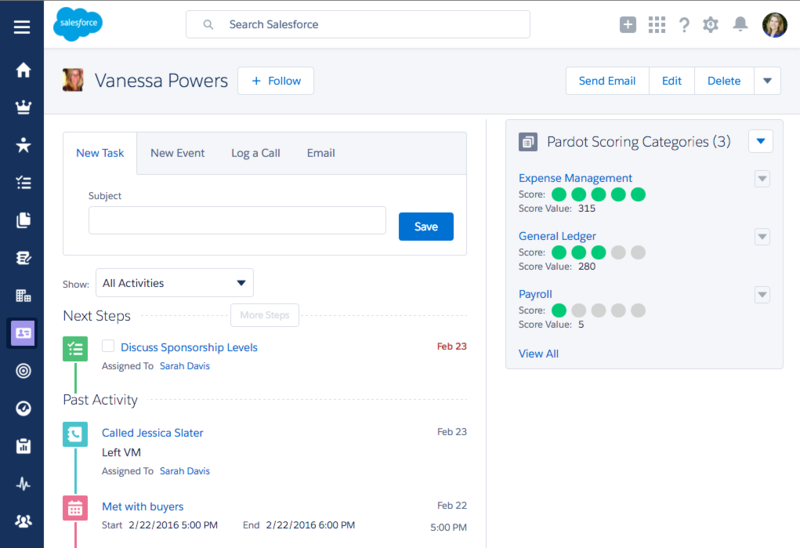 Salesforce.com products generate results quickly and easily. Without any software or material to install, you will be up and running in no time, and will be able to witness the benefits for your business. You will find everything you need to transform your company into a social and collaborative business, in order to create a new relationship between your clients and your employees. Since it was launched in 2004, Salesforce has become extremely successful and has taken the lead of the web-based CRM market. Currently, there are dozens of efficient CRMs on the market such as Zoho CRM, Nelis, Oryanoo CRM, YellowBox, and many more. Salesforce is a CRM which is particularly suited to large scale businesses. Other more versatile solutions might be better suited and less costly for small and medium-sized businesses.